← Time for a new(ish) Towel Rack! A bit of lemon juice really does make my hiccups go away! We even had a wedge tucked behind a candle on the alter during our wedding ceremony: my hiccups are loud and brought on by nervousness! Happy 10th Anniversary on October 4th, Hubs! 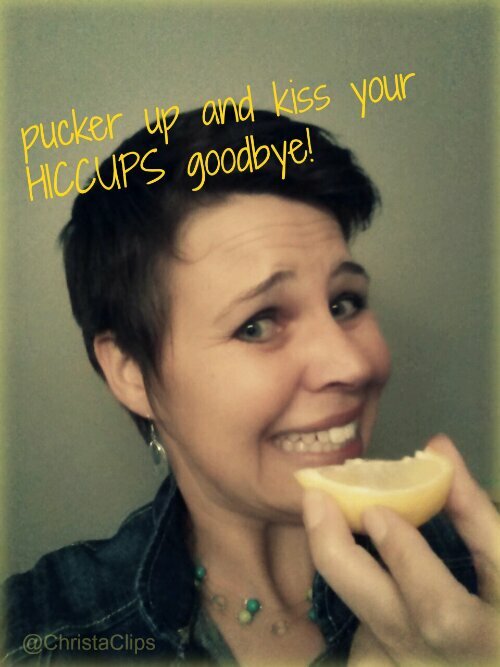 Posted on October 2, 2013, in Uncategorized and tagged Home remedy for Hiccups, Wordless Wednesday. Bookmark the permalink. Leave a comment.